Why Blockbuster doesn’t Get It. Get on Roku, Boxee, iPad, Kiosks! Yesterday I read that More Blockbuster stores are closing. 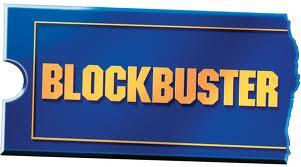 Blockbuster is falling – with a losing 2010 and not a very great first half of 2011. Yet Netflix and Redbox seem to be doing pretty well. I don’t get it – Doesn’t Blockbuster see the writings on the wall? More important, why are they not on a platforms that work, like Roku or Boxee? I remember when Blockbuster gobbled up local retailer Doorstep Video (they actually delivered movies like pizza), then Video Station. A little company from Texas really put the screws to local video retailers. If you wanted a video, pull that Blockbuster card out of your back pocket. But the movie environment changed. I also remember 2002, I had a Netflix membership for 6 months. Their disk system was horrible – when I did get a new DVD, 2/3 of the time the disk skipped or was unplayable due to poor handling by the other members. I switched to Blockbuster because not only were the quality of disks better, but I could turn them in at the store where I could pick up more movies (a feature that surfaced around 2007). Alas, that tide changed and I switched back to Netflix. Why? Because Netflix’s service was better. I was watching more online than through disks. They had a better library and Starz in their back pocket. I also got a Set top box in Roku. Why is Blockbuster not on Roku, Boxee? This week, Roku (one of the most popular Over the Top Set top box) came out with their next iteration of the appliance. 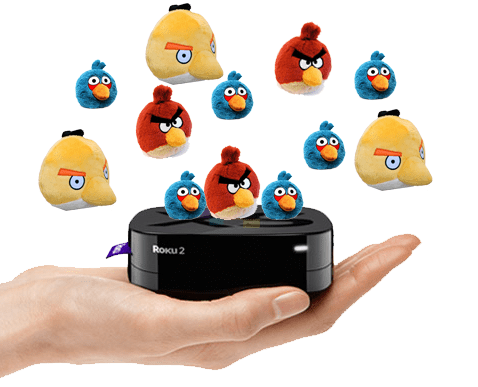 It not only had a motion remote, but it’s incorporating Angry Birds, turning this into a possible game competetor. I was amazed on the popularity of this little box. It’s sold over 1 million and I’m guessing it will hit 1 million on their Roku 2 boxes even faster, now that Angry Birds is packaged with it. But one thing still sets me back – Blockbuster is not on this appliance. They are not even on Boxee, which is another popular set top box. I even Rent movies on Amazon through the Roku channel. But I cannot get Blockbuster. Does Netflix have an exclusive contract with Roku? I have not read anything that says Netflix owns Roku. Even if that is true, Boxee is a good competitor to Roku, and Blockbuster is not even on that system. What is Blockbuster Streaming On? PC’s, TiVo, Blu-Ray, DVD and TV’s from Phillips, Sharp, Samsung, Sylvania, Toshiba, Vizio. Also in various off-brand media devices. The only close device to the set top box is the Western Digital Live Plus. While disc players and built-in TV systems are good, it only covers a small market of where they should be. What about XBox, Nintendo or Playstation? More to the point, why not Windows Phone 7, iPhone or iPad? They have part of a mobile market, but Android only. Blockbuster’s footprint is small, compared to Netflix – who is on most major appliances you would see in your home today. 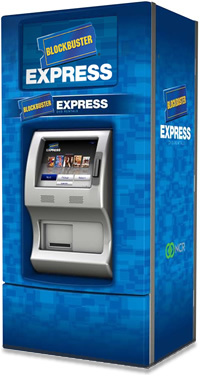 Blockbuster started their kiosk system, contracted through NCR. 10,000 machines have been distributed across the US. Now, NCR is looking to get out the business. That would leave Blockbuster without a Kiosk system. Since stores are closing, that leaves little to no option on “Convenience” rentals. If NCR sells to Redbox, that could definitely cause a major commotion. Better yet, what if Netflix bought out NCR’s stake in Kiosk machines? The brick and mortar stores will be Blockbusters Coup de grâce without alternate solutions. If they had a decent combination of Stores, kiosks and a online system that could work from popular devices, maybe they could have captured upon Netflix’ price increase faux pas (yes, they did mess up). Then again, a 16 year run for a company is not that bad. Especially one who’s market is changing dramatically.